The suicide of Mark Madoff, the 46-year-old elder son of disgraced financier Bernard Madoff, has all the trappings of a Greek tragedy. Madoff hanged himself in his Manhattan apartment on Saturday, the second anniversary of his father’s arrest for what is now known as the world’s largest-ever Ponzi scheme. Just before killing himself, Madoff called relatives and asked them to check on his two-year-old son, sleeping in the next room. His death came even as prosecutors and other legal authorities were considering legal charges against the sons of Bernard Madoff. At the same time, other authorities were seeking to go after the Madoff relatives in order to regain some of the vast losses suffered by investors in the senior Madoff’s $50 billion fraud. 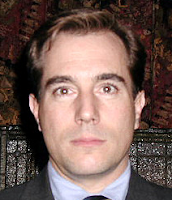 The Madoff sons have insisted on their own innocence, and they had originally confronted their father with the concerns that led to his arrest and conviction. Bernard Madoff is now serving a 150 year federal prison sentence. Some Christians turn these passages into nonsensical and sensationalistic warnings about “generational curses” that must be removed by some kind of special prayer or ministry. The reality of the biblical warning is clear enough. We are warned that the consequences of our sins are not limited to ourselves, or even to our own generation. Bernard Madoff did not ruin only his own name, but the name carried by his children and grandchildren. The moral, legal, and financial consequences of his sin will not be borne by Bernard Madoff alone, but by his descendants after him. All of this is brought tragically to mind when we think of the despair of Mark Madoff - and even more so when we consider what this means for a two-year-old boy who had been sleeping in the next room. That grandson was not even conceived when Barnard Madoff was conducting his Ponzi scheme. Cast aside the unbiblical nonsense about “generational curses” and reflect on the reality of the Bible’s teaching about the consequences of our sin — a sin indeed visited upon the children to the third and fourth generation. That two-year-old grandson already represents the third generation. May God mercifully protect him.